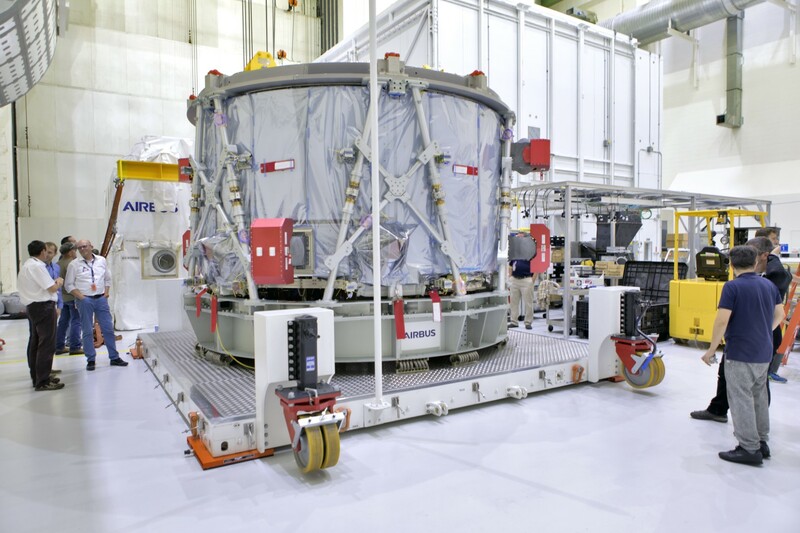 With ESA’s European Service Module having arrived at NASA’s Kennedy Space Center in Florida, USA, last week the next step is to connect it to the Crew Module Adapter that will be the interface between the Crew Module and the European Service Module. First of all, after unloading, the European Service Module was given a thorough inspection to ensure that no problems arose during transport. 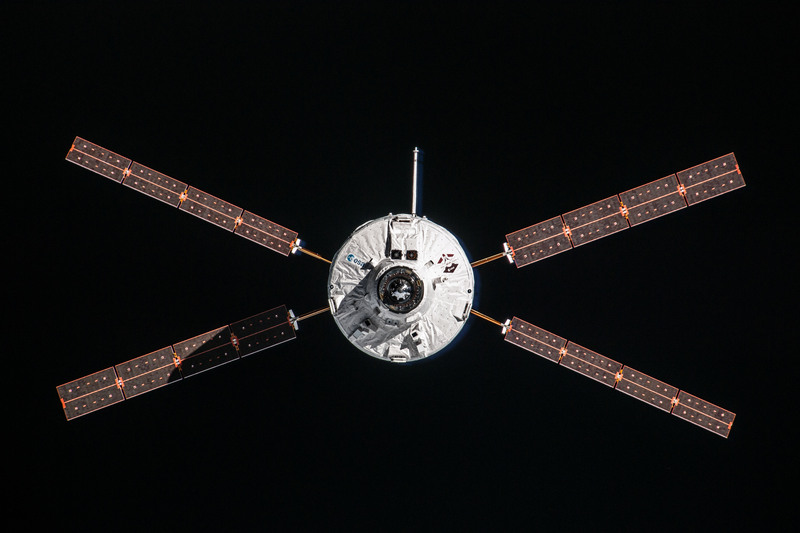 Anyone who orders products through the internet will attest to packages sometimes getting damaged in the post, similar to signing for an internet delivery ESA signed off on the delivery of the European Service Module and gave the go-ahead for NASA to start connecting the module to the Crew Module Adapter. 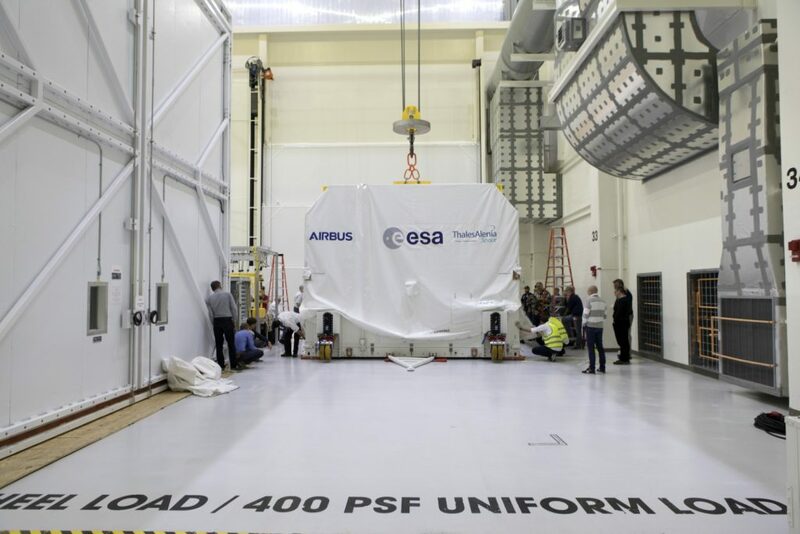 The paperwork was completed and integration has already started today. 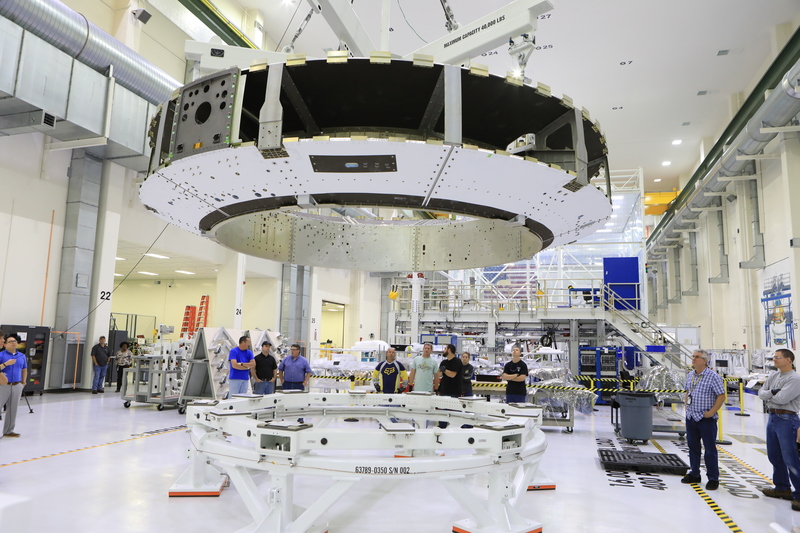 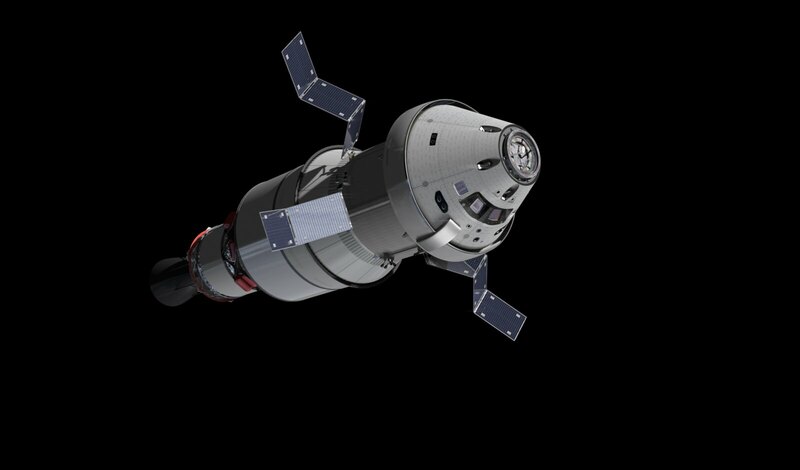 The two elements of the Orion spacecraft form the actual Service Module which will stay in this configuration until the solar wings and Crew Module are connected to complete the full spacecraft in the second quarter of 2019. 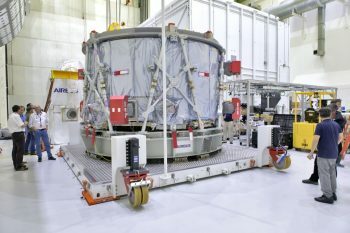 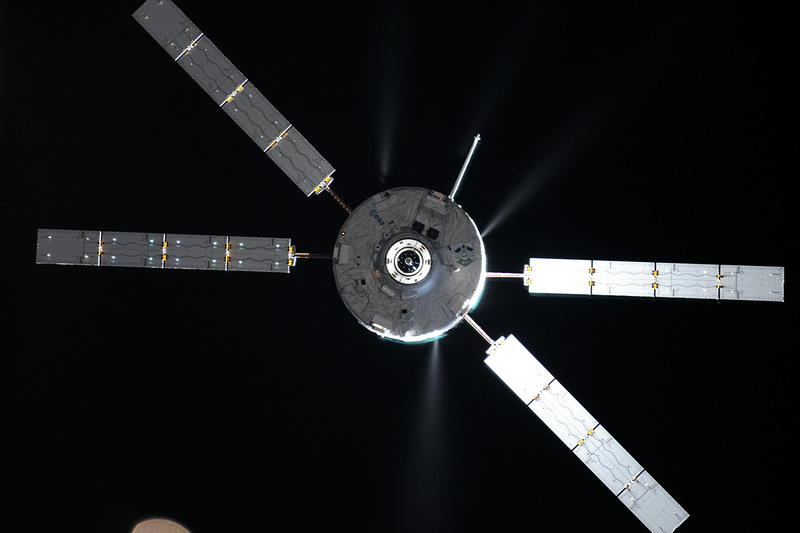 More on the work being done to connect the spacecraft in later blog posts.